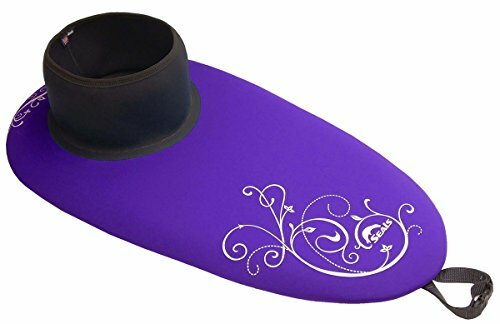 Seals Women's Athena Kayak Spray Skirt - Specially designed for women and suitable for up to Class III whitewater or choppy wave conditions in open water, the Seals Athena sprayskirt is hand-crafted from durable 4 mm neoprene and an E-Z stretch 3/8" bungee cord. Form-fitting, low-rise neoprene tunnel (check size chart for proper sizing) is 6 in. tall, and tribal style deck graphics add a bit of flair. The Seals Women's Athena Kayak Spray Skirt is made for women and is perfect for the Class III whitewater paddler. If you have any questions about this product by Seals, contact us by completing and submitting the form below. If you are looking for a specif part number, please include it with your message.